We are thrilled to announce that the Joya Red Half Corona (3¾ x 46) is now available for sale in the US. We first introduced this new vitola to the Joya Red cigar line last September during the Inter-Tabac trade show held in Dortmund, Germany. Until now, it had only been available in the European market. The Joya Red Half Corona is designed to satisfy the contemporary smoker’s desire for a quick, but extremely pleasurable smoke. We kept the same lower priming Nicaraguan tobacco blend as the rest of the Joya Red line. 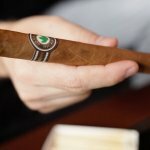 This new vitola comes in boxes of 20 and ‘petacas’ of 5 cigars. 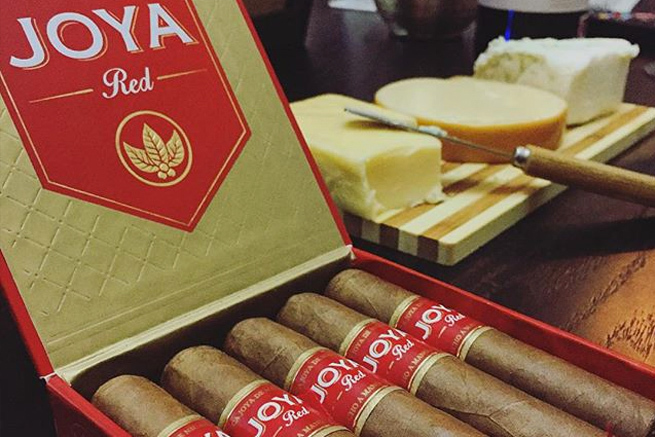 Joya Red is a medium strength smoke packed with flavor, outstanding construction and sharp burn. The brand was originally released in July 2014 as an invitation to #REDiscoverJoya’s modern and fun side from the hands of its young executive team. It has quickly gained popularity around contemporary consumers, making it Joya de Nicaragua’s second best selling brand in the US market in only a year and a half. New and exciting additions to the “JOYA” line are currently in the works. We can’t wait to share them with you!